OnePlus announced the 5T last week with Android Nougat 7.1.1, but one year-old OnePlus 3 and OnePlus 3T are already getting the new Android 8.0 Oreo. 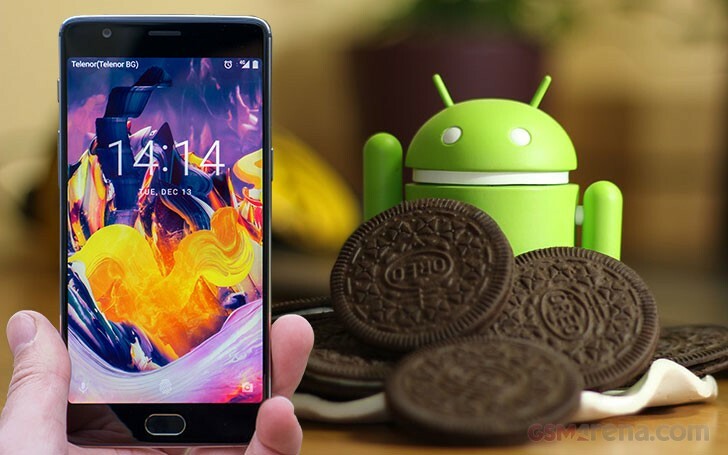 The manufacturer announced on its forums that OxygenOS 5.0 is being pushed to a small number of users, with a broader roll-out to come in the following days. Along with Android Oreo, the upgrade adds Parallel Apps and Picture-in-Picture features to the OnePlus phones. There is also Auto-fill and Smart text selection. OxygenOS retains its clean, minimalistic look, but gains new design for the Quick Settings panel. Along with the new features, there is also a security patch in the update. Android Oreo's Notification dots make it to the OnePlus 3 and OnePlus 3T users. The launcher also brings new app folder design. For those who were on previous versions for OnePlus 3 and 3T, we appreciate your active feedback and attempts to reach out to us. With your help, we have been able to better optimize and improve several key areas. Thank you for your patience and as always, we look forward to hearing your continued feedback in the bug reporting forum here: https://forums.oneplus.net/feedback/.